Say what you will about Michael Corleone’s faults, at least The Godfather gangster had good taste. Corleone chose Lake Tahoe’s iconic Fleur du Lac as one of the fictional crime family’s homes. Turns out, plenty of others would do the same. In January, the approximately 4,100 square foot second unit of Homewood’s Fleur du Lac Estates was named the U.S. “House of the Year” by readers of the Wall Street Journal. 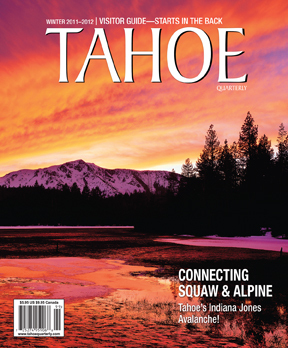 It’s just some of the recent national praise heaped upon Lake Tahoe and Truckee real estate. From Home and Garden TV Dream Homes to being described as having “possibly the best” private community in the country by Forbes magazine, the national and international profile of Lake Tahoe’s high-end real estate has increased over the past several years, says Kane Schaller, president of the Tahoe Sierra Board of Realtors. Buyers took notice. Wall Street Journal’s U.S. “House of the Year” poll included 51 homes across the country that were on the market at some point in 2013. Readers cast nearly 900,000 votes during the contest. The Fleur du Lac condominium, one of 22 units on the former estate of ship-magnate Henry J. Kaiser, received 88,957 of the ballots. An almost seven-foot-tall, double-sided fireplace, a state-of-the-art multi-zone sound system, hydronic heating and the addition of several lake views were among the extensive changes made to the West Shore property during a recent $3.5 million renovation. The condominium is on the market for $6.5 million, and is not alone in receiving accolades from national publications. 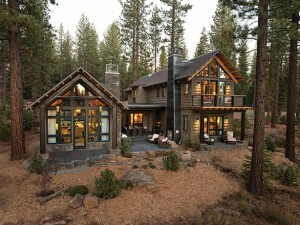 Five Tahoe and Truckee homes made it into the “House of the Year” poll, which was drawn from weekly winners. A $4.25 million, 4,522 square foot Glenbrook home took fifth place in the voting. HGTV selected the nearby Schaffer’s Mill as the site of its 18th annual Dream Home contest, where a home is built and given away to a reader. 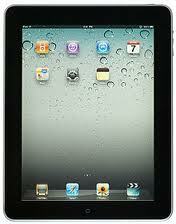 HGTV awarded the home to Boise, Idaho, resident Laura Martin in late March after drawing her name at random in February. The 3,200 square foot home built for the contest is valued at just under $2 million. Tanamera Custom Homes of Reno built the home. House planner and HGTV producer Jack Thomasson selected Truckee’s Ward-Young Architecture for the project after spotting the Highlands Fire Station near the Ritz-Carlton on a scouting trip. The “new modern architecture” style of the Dream Home is defined by its gabled design, natural stone, cedar siding, flow between indoor and outdoor elements and exposed steel construction. Incorporating the surrounding site was a key element in the design of the home, says architect David Bourke. In addition to the outstanding views, the home’s windows provide the natural light that was another focus of the “new mountain” design, says the architect. Building homes at Lake Tahoe provides ample opportunity for unique concepts, from the traditional to the experimental, Bourke says. With the popularity of the HGTV contest, he may find himself incorporating some of the Truckee Dream Home elements into future designs. “We’ve gotten a lot of positive feedback with people calling from all over the country saying, ‘Gosh, I really like this house, can we do something similar?’” Bourke says. The recognition extends into the market, as well, says Schaller. 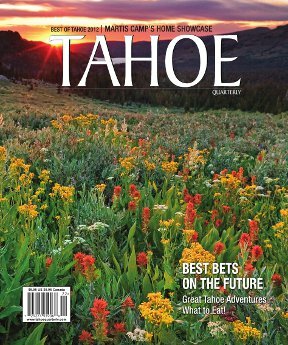 In an area that offers an unbeatable lifestyle and has more than a handful of dream homes, Bourke says it wasn’t a shock for Tahoe and Truckee to be in the national spotlight.